This is a great activity for students to complete when coming back to school. You could use this for math centers, early finishers, or even for homework. 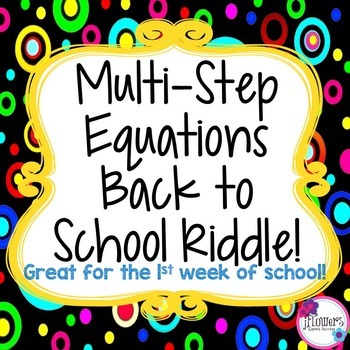 There are 12 Multi-Step Equations for students to complete and show their work. Once they are done then they can solve the riddle!